The following examination was directed for six months, in the Blepharoplasty and Non Invasive Eye Lid Surgery with Plexr. The objective has been the research of anesthesia in the zone of the eyelids by measuring different mixtures of analgesic creams. The investigation took place in 60 individuals. On these patients we practiced three unique sorts of anesthetic cream and analyzed the outcomes. In order to get the best outcome you need to apply a fair amount of anesthetic cream, but mostly the effect relies upon the responsiveness of every patient to skin sensitization. What follows are the researches that have been examined for three sorts of anesthetic creams available in pharmacies. 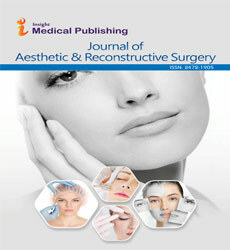 Besides, a similar report took place in the recuperation technique following the use of Plexr in blepharoplasty, with and without make-up promptly after treatment. Research was practiced in 60 patients. We split patients into two segments: The principal group did not wear make-up amid the recuperation time frame, while the second did not use make-up until the punches drop.